Become an IMH Certified Life Coach (CLC)! Life Coaching has grown to be a hugely successful form of guidance and talking therapy, to the extent that it has helped turn people’s lives around. A life coach is someone that looks to empower others by helping them make, meet and exceed goals in both their personal and professional lives. Life Coaching is now one of the fastest growing industries in the world. With the pleasure of helping people achieve success and with high earnings as rewards, it is a hugely satisfying career. If you have been contemplating becoming a Certified Life Coach yourself and have been wondering how to get started, this 36 Hours 12 weeks fast-track IMH Life Coach Certification training program is for you. 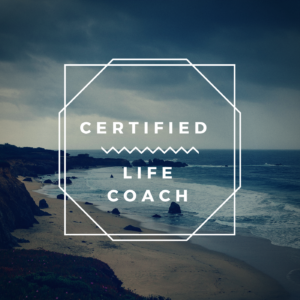 Why get Trained and Certified as a Life Coach? Life Coaching is so far an unregulated field owing to which there are no specific entry requirements in terms of education or work experience. Having a University or a professional diploma or degree and some personal qualities like a desire to help people, and excellent listening and communication skills is what is sufficient to become a life coach in most cases. But if you really want to set yourself apart from the other coaches, you would need something more than just this. This is where a certification and the associated tag “Certified” gain importance as they give you the necessary edge on the competition. This fast-track 12 weeks Life Coach Certification Course will equip you with all the knowledge and skills that you need to enter the growing Life Coach domain. Upon completing the course you will receive an IMH Certificate that you can proudly display on your website and stationery, and in your office. You can also display the credentials “IMH Certified Life Coach” on all your business correspondence and online resources. Learn more about Life Coaching by clicking this link. Entry Requirements : Good G.C.E. A/L’s with a recognised University Degree (BA/BBA/ B.Com./BSc./B.Eng./LLB/MBA/MSc.) or a full Professional Qualification (ACCA/CIMA/CIM/BCS/ABE, etc.) together with a Certificate or Diploma in Psychology or Counselling and Fluency of the English language is essential. Other Recognized Professional Advanced or Higher National Diploma level qualifications and/or other Academic or professional qualifications with relevant professional work experience will also be considered on a “case-by-case” basis for entry after an admission interview. Class Days and Times : Thursdays: 5.00 p.m to 8.00 p.m.
Resource Person: Dr. Sir Romesh Jayasinghe, Ph.D.(Psy. ), Dh.C. (Florida), FRSPH(UK), FTBCCT(UK), MBCS(UK), HFSUNFO(SL), Grad.Dip.Ed. (UK), Visiting Professsor – Centre for Peace Studies (CPS) – Sri Lanka, Psychotherapist, Trainer, Certified Global Leadership Assessment Professional (USA), Certified Master Life Coach (USA), Certified Clinical Hypnotherapist (USA), Certfied Eriksonian Hypnotist (USA), Certified Hypnotist (USA), Certified Coach in Life Optimization (USA), Certified Relationship Coach (USA), Certified Master Business Success Coach (USA), Certified Life Coach (USA), Certified NLP Practitioner (USA), Certified Coach in Self Confidence (USA), Certified Coach in Self-Esteem Elevation for Children (USA), Certified Law of Attraction Advanced Practitioner (USA), Member of the Asia Pacific Alliance of Coaches (APAC), Singapore. The IMH Life Coaching Certification Final Examination will carry a 2-hour MCQ and True / False based internally set unseen written paper to be answered on a closed book examination mode having a minimum pass mark percentage of 70%. A minimum class attendance record of 80% is required in order to be eligible to sit the final certification examination. For Past IMH Students who have qualified with the IMH Diploma in Psychology and Counselling the discounted all-inclusive course fee is Rs. 40,000/- only. Batch 4: Thursday 25th of April 2019 from 5.00 p.m. to 8.00 p.m. Please enroll yourself for this course by paying the first installment of Rs. 25,000/- on or before 12th of April 2019.